Make her feel like royalty by creating a jewellery set designed specifically for her. 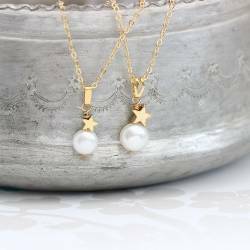 Browse the timeless styles in pearls and crystals that can be personalised for a little girl's jewellery set that is as unique as she is. 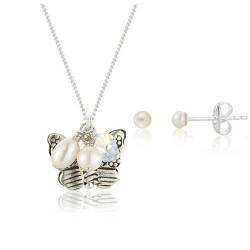 Children's Jewellery sets There are 13 products. 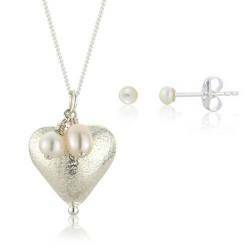 The perfect pearl jewellery gift set for Mum and Daughter that they will treasure. 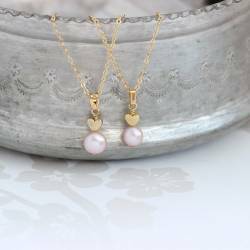 A single pink, white or peacock pearl handwired with gold heart pendant, one for Mummy and her little girl. 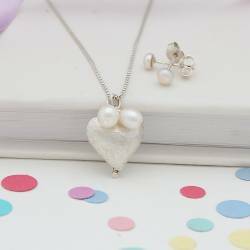 An adorable little sterling silver heart is combined with freshwater pearls and swarovski crystals in blue, white or pink to create this gorgeous necklace and pearl stud earrings set for little girls. 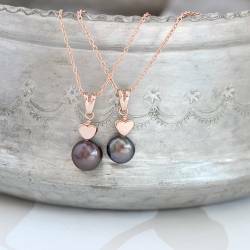 A white, pink or peacock pearl and silver heart pendant with pearl stud earrings. 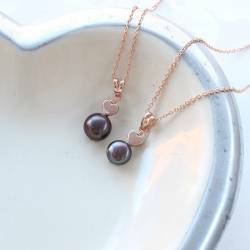 A pearl set a little girl will treasure forever.The perfect keepsake gift for a birthday thank you to your flowergirl. 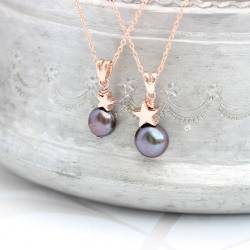 A peacock, pink or white pearl and silver star pendant with pearl stud earrings. 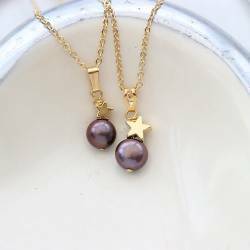 A pearl set a little girl will treasure forever.The perfect keepsake gift for a birthday thank you to your flowergirl. 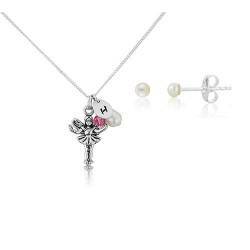 This personalised necklace has a silver fairy charm, a crystal and white pearl. 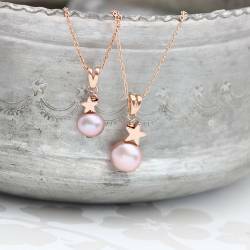 Matching white pearl stud earrings complete the set, a perfect gift for anyone who believes in a bit of magic!